Jason Rezaian spent 544 days in Tehran's notorious Evin prison, but in all that time there's one detail he'll never forget: the anguished wails of his fellow prisoners. 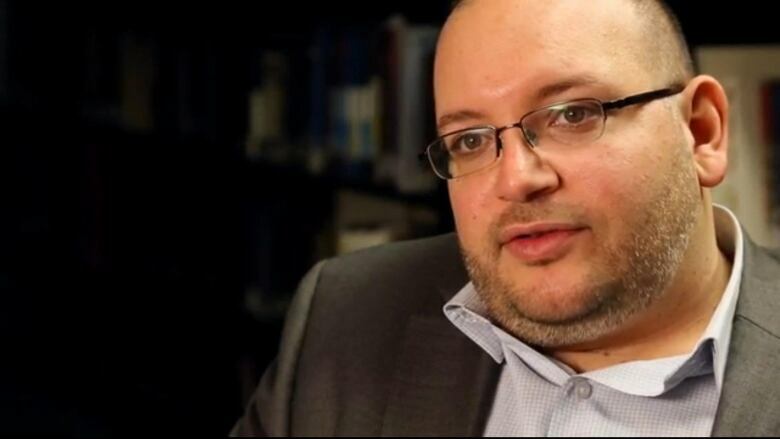 "One thing that will always haunt me is the screams and cries of some of those cellmates, people who … just couldn't handle it," said Rezaian, an American-Iranian journalist arrested on espionage charges in 2014. Rezaian said he spent much of his early detention in solitary confinement in a cell so small he could "lie down in one direction but not the other" with a "hole in the ground for a toilet." Listening to the other prisoners' screams, Rezaian "worried that I might be driven to that over time." U.S.-born Rezaian had been working as a journalist in Iran since 2009, becoming the Washington Post's bureau chief there in 2012. His father was originally from Iran, and over the years Rezaian had grown to love the country and its culture. On July 22, 2014, he and his wife were stopped in the car park of their apartment building by two men with guns. The men brought them back upstairs, where they ransacked their home, Rezaian said, before taking them to Evin prison. Rezaian remembers thinking: "This is all a big mistake, and whatever this is, it's going to pass very quickly." "I am an established reporter here in this country.… I'm an employee of the Washington Post — people know who I am," he told himself at the time. Rezaian was wrong, however; his detention would last almost 18 months. He has written a book, Prisoner: My 544 Days in an Iranian Prison, which was released last week. He spoke with The Current's Anna Maria Tremonti about his experience, and his fight to stop others from suffering a similar fate. Rezaian said that during various interrogations, Iranian officials accused him of being an agent of the CIA, MI6, Mossad, and of fomenting a feminist revolution. "Most absurd of all [was the accusation] that a Kickstarter project — that I had started about the desire to bring avocados to Iran — was somehow a veiled and secret plan to overthrow the Iranian regime," he said. "Over time it just became: 'You are what we say you are because it's what we say.'" When he wasn't being interrogated, he tried to cope with confinement by pacing his cell and keeping count of the steps. He reviewed his life and tried to make plans for his future. "You just take stock. It's as close to death — without physical symptoms — as you can imagine," he told Tremonti. "You're confined in the tiniest space, and there's literally no sense of an exit. You don't know when you're gonna be let out." As weeks in Evin prison turned into months, Rezaian realized he was being held while negotiations continued on the Iran nuclear deal. "It's no coincidence that every time I was taken into the courtroom to testify in the case against me, it was coinciding with one of those rounds of nuclear negotiations," he said. He believes that he got caught up as powers within Iran were trying to undermine each other. 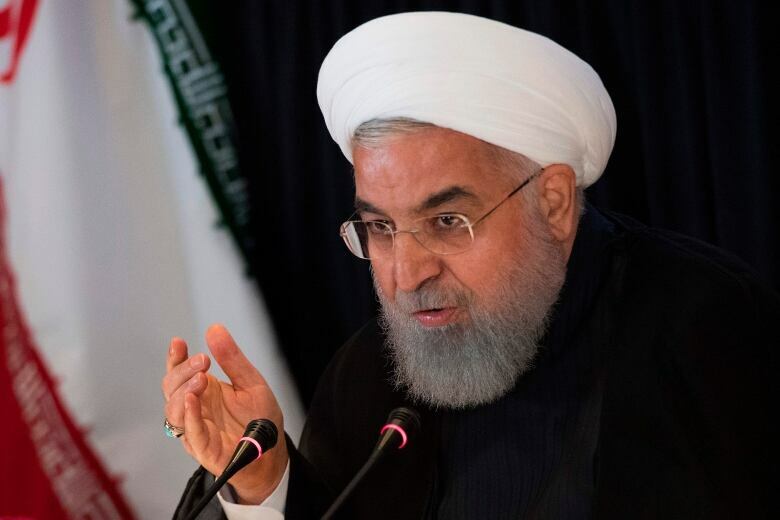 "While the Rouhani administration was completely committed to negotiating this deal with major powers, including the United States, the Islamic Revolutionary Guard Corps was not," he said. "They wanted to do whatever they could to make that process as complicated for their internal adversaries as possible." Rezaian was convicted on October 2015, but the case was heard behind closed doors and details of the verdict were never released. The Current requested comment from Iran's Ministry of Foreign Affairs, Iran's special interests section in Washington, D.C., Iran's mission to the UN and the office of Iranian President Hassan Rouhani, but has not received a response. His detention continued until Jan. 17, 2016, when he and several other U.S. prisoners were released, after negotiations ordered by Barack Obama during his presidency. "It wasn't until we got on that plane, got up in the air and were told that we were out of Iranian airspace, that I knew that this was over," he said. He and his family are now based in Washington, D.C., where he still works for the Washington Post as an opinion writer. Rezaian is suing Iran for $1 billion US in damages, but stresses the action is against the Iranian government, not the people and country he loves. Iran has laws and due process that were violated in his case, he said, and he hopes that suing the government could help to stop this happening to anyone else. "They have not stopped doing this to people," he said. "They've done this with zero accountability. Why? Because they think they can get away with it." Even though a detailed verdict was never released, "the Iranian state version of events is the only official one out there," he said. "I couldn't live with that — and I want justice. I want justice for what was done to me and my family."